Standalone solar system is usually customized. It normally contains solar panels, inverter, batteries, wind turbines and back up suppliers. Please contact Energy Cloud Australia for more details. If you are living in a remote area where mains electricity just isn’t available or terribly cost prohibitive? 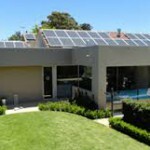 Then you can consider a standalone solar system from Energy Cloud Australia. Energy Cloud Australia (ECA) adopted creative technology to design standalone solar system, featuring lower cost, high performance and higher reliability. And we have done many Related Projects. Standalone solar system consists of high efficiency panels, off-grid inverters and batteries. Standalone should be detail customized to fit different situations. Please contact ECA to help build your off-grid solar system.